Caught up with an old high school friend I hadn’t seen in years at Empellon Taqueria, right off Christopher Street in the Village, and had a bit of a taco-fest. After moving to a table further away from a bunch of obnoxious Santa-con participants, we started with a very generous dish of guacamole, a creamy smoked cashew salsa and a spicier, more vinegary arbol salsa (my favorite out of the three) with just-fried corn tortilla chips to whet the appetite. 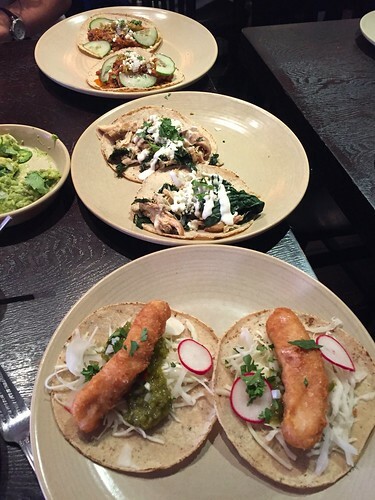 For our mains, we avoided the sweeter, more traditional brunch dishes and ordered a trio of tacos. Probably would’ve been fine with just two, but as former tennis players, we fell into old gorging habits as we reminisced about school and figured…oh, why the hell not? The tacos were the chicken, black kale, crema and salsa verde; fish tempura, cabbage and lime mayonnaise; and lamb barbacoa, cucumber and salsa borracha. Of all of them, the classic fish taco was my favorite (something about the combination of cooling cabbage and lime mayo with crunchy, crispy fish), though I was surprised by how much I liked the chicken version, which was very juicy and flavorful. Really satisfying (probably even a bit excessive) and definitely warranted a super long walk afterwards. Also had a rare chance to cook myself a meal this past weekend and went with the classic Marcella Hazan tomato sauce with butter, which made the entire apartment smell like heaven. So easy to make, all this requires is a white onion, 5 tablespoons of butter and a can of whole San Marzano tomatoes (all of which I usually have in the pantry and fridge). Let it simmer gently on the stove for 45 minutes, stirring every once in a while, cook your pasta (I like to use linguine or some noodle-y pasta) during the last 10 minutes the sauce is cooking, and you have a homemade, seriously banging bowl of pasta. 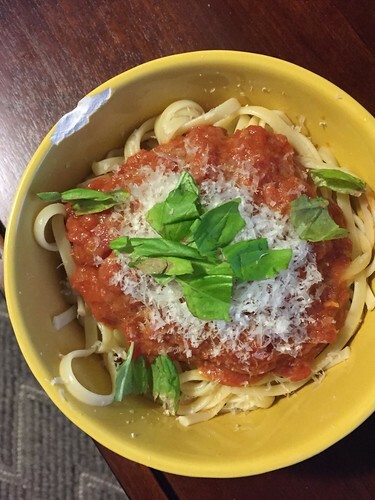 I usually grate a bunch of good Parmigiano-Reggiano, add some fresh basil if the flimsy plant on our kitchen windowsill has a couple fat leaves and maybe even some red pepper flakes to add a bit of kick. If you’re a cooking novice or just want to make something that doesn’t require a ton of work, this is a perfect recipe to start with. Go make it! 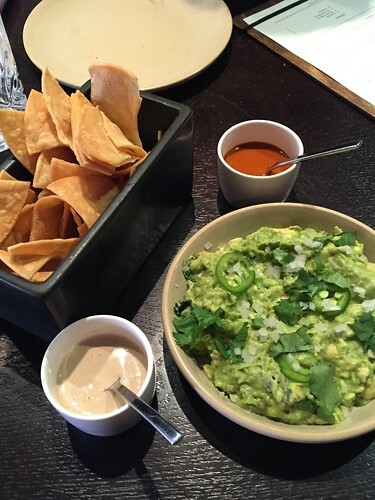 You are currently reading Empellon Taqueria at Notes on Food.